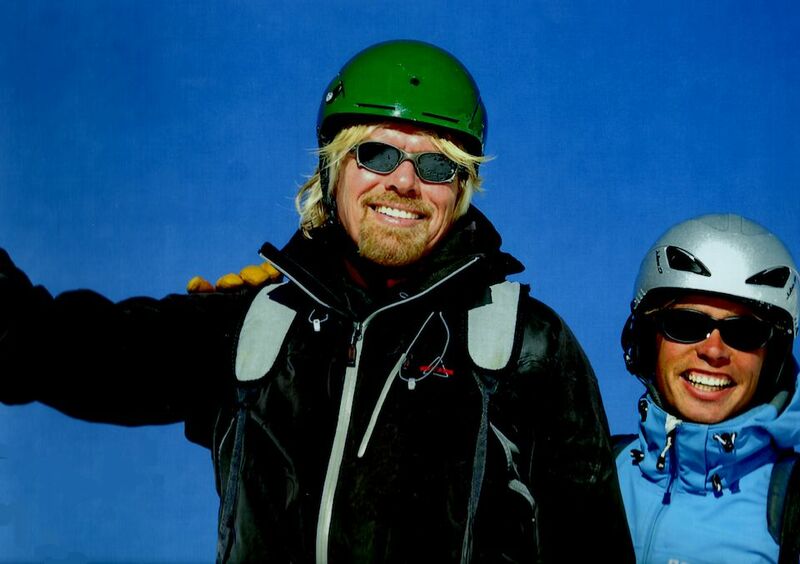 In the heart of one of the largest ski areas in the world, Meribel hosts an array of famous guests. 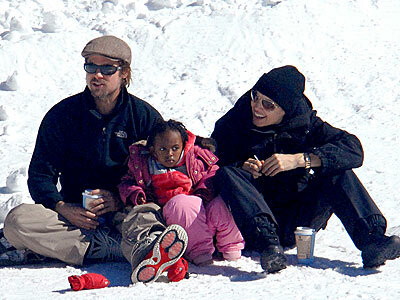 With only a couple of luxury hotels celebrities chose this location to enjoy the privacy of their own luxury ski chalet. As a more low key resort to its neighbour Courchevel, this is the perfect choice for anyone wanting to spend quality time with loved ones or friends away from the crowds. In 2008, Emma Watson purchased a luxury chalet for £1million which contributed towards the increased demand for properties in Meribel, seeing prices soar to £3-4 million. Other celebrities spotted in the beautiful traditional resort are the royals Prince William and Kate as well as pop stars Natalie Imbruglia and Sophie Ellis-Bextor. Located in the canton of Valais, this beautiful resort is recognised as one of the premiere ‘off-piste- resorts in the world. Nearly 100 lifts access more than 400km of runs, the slopes are snowsure and the scenery spectacular, and from the top of the ski area – Mont Fort, at 3330m – the views reach as far as the Matterhorn and Mont Blanc. 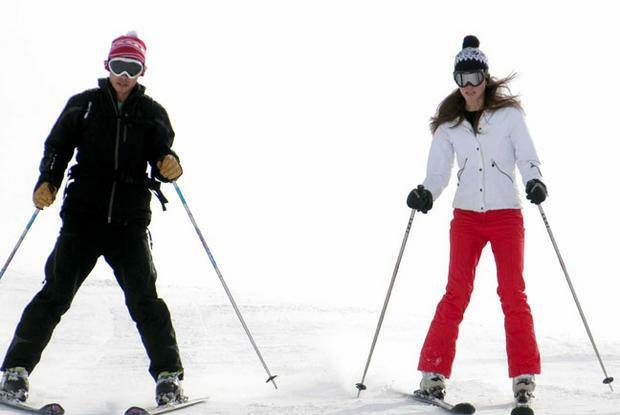 The varied terrain attracts visitors and celebrities who are regular skiers who are looking for a challenge. There are many luxury ski chalets providing cosy, traditional log cabin style atmosphere as well as an array of boutique shops and exceptional nightlife. Celebrities fans include Sir Richard Branson, Prince Harry and Fearne Cotton. Home to the iconic mountain range with most peaks reaching over 4000m; Zermatt is one of the best ski resorts in the world. It’s incredible scenery, atmosphere and slopes attracted an elite ski scene fit for the rich and famous. Settled under the magnificent Matterhorn, Zermatt is a picturesque alpine village filled with gourmet restaurants, stunning chalets and world class skiing. Celebrities spotted in this fabulous Swiss resort include film stars Angelina Jolie and Brad Pitt, legendary drummer and singer Phil Collins and both Abba ladies have homes here. Lively, modern and with 600km of pistes, Courchevel is filled with rich ski terrain and celebrity admirers. The chic resort of 1850 is home to six star hotels, Michelin star restaurants and luxury shopping. 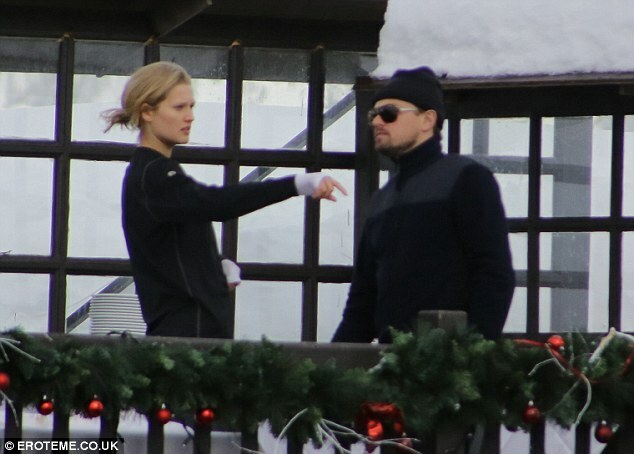 In peak season the Russians rich list fill the resort sipping Dom Perignon donned in fur lines ski wear. This elegant ski village has charmed A-list celebrities including Leonardo DiCaprio, David and Victoria Beckham and Pippa Middleton. It’s no surprise St Moritz is a celebrity and rich list hotspot with its annual Polo World Cup on their frozen lake. This prestigious event started 30 years ago and draws more than 12,000 visitors and a host of top celebrities. Due to its fabulous location, St Moritz enjoys 300 days of sunshine each year and during peak times, the resorts very own airport brings in more than 40 private jets a day so the rich and famous can enjoy the Swiss slopes or a ‘designer’ getaway to enjoy the fine amenities of the resort. With designer shops, exclusive sporting events and superb spas, St Moritz is always at the top of the exclusivity lists. You’ll find the biggest names in fashion here including, Dolce & Gabbana, Gucci, Louis Vuitton, Prada, Roberto Cavalli and Versace.